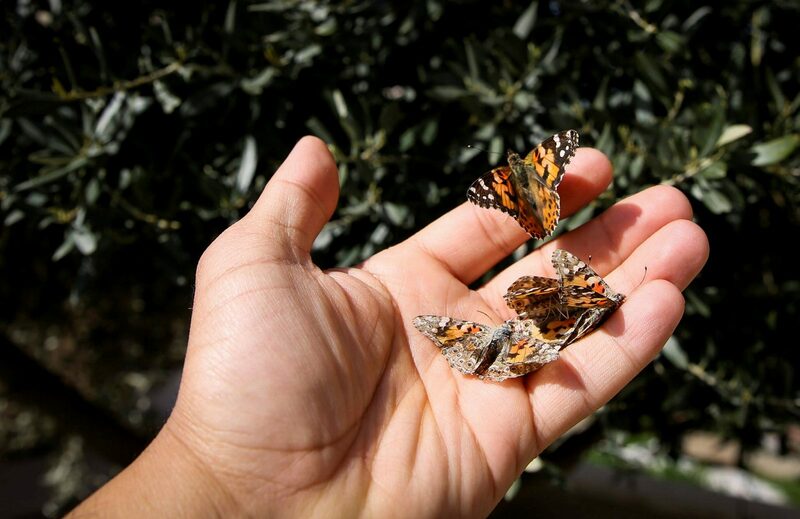 Painted lady butterflies cover Israel's skies on their migration from the Arabian Peninsula to Europe. Purim festivities in Israel were extra-special this year, with millions of fluttering butterflies creating the perfect backdrop to the colorful holiday celebrations taking place across the country. 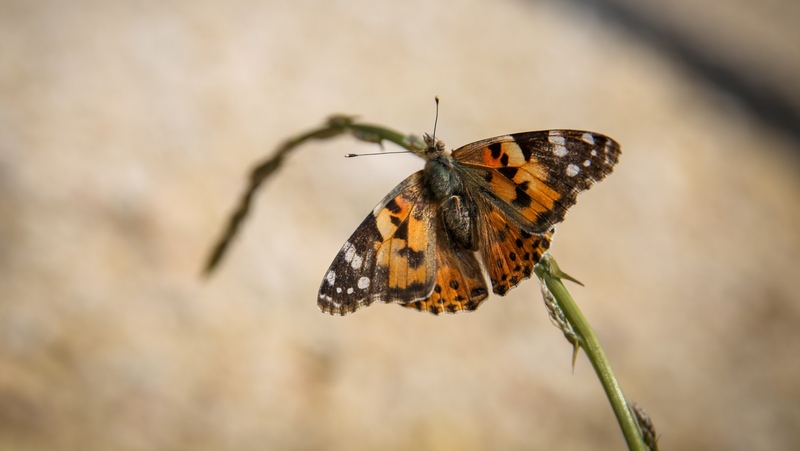 The painted lady butterflies (proper name: Vanessa cardui) were making their way from the Arabian Peninsula to Cyprus and onward to the rest of Europe in the largest migration seen in Israel in recent years. “The enormous quantities coming to us from the east are arriving from Kuwait or the Arabian Peninsula. They’re arriving in Israel, coming down for an overnight stop, fueling up and drinking nectar from the many flowers out in the fields right now, from chrysanthemums and other flowers. 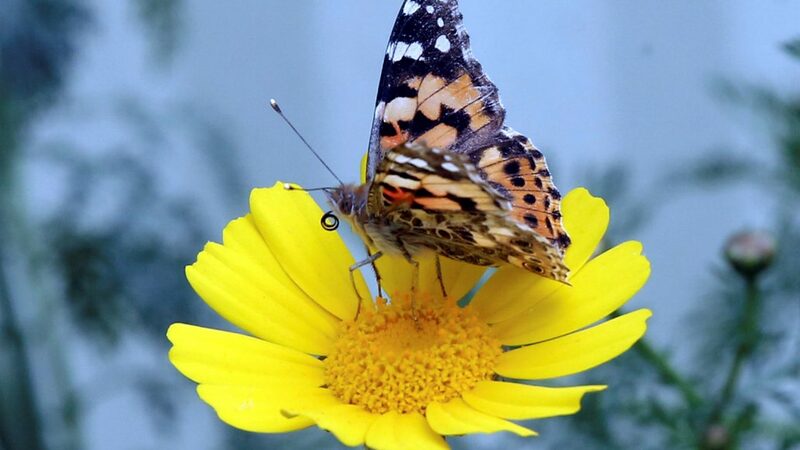 Tomorrow morning they’ll take off toward the shore and then northward to Cyprus and Europe,” Association of Butterfly Lovers in Israel head Dubi Binyamini said over the weekend. “I received reports from Be’eri, from the northern Negev all the way to the Golan, a real front across all of Israel, a front of at least 200 kilometers, and then it’s simple to do the math,” he explains. The painted lady butterfly reportedly can be found on every continent except South America and Antarctica. It’s easy to spot, characterized by its orangey-brown wings with black and white spots. We’re keeping it mind as a costume for next year’s Purim celebrations in the hope that the butterflies will land again in time for the holiday. Just imagine how picture perfect that could be. Naama Barak is a writer at ISRAEL21c. 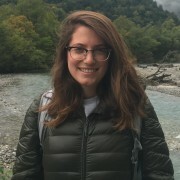 A PhD student at the Hebrew University of Jerusalem, she loves all things history and politics. Food and fashion come a close second. Prior to joining ISRAEL21c, Naama worked for Israel's leading English-language dailies and cutting-edge startups.